The 10 Best Boat Rentals in North Carolina! If you’re planning to enjoy the beautiful coast of North Carolina, there’s no better place to do it than from the water. With a variety of boat types available for rent from easy to drive pontoons to serious speedboats, you’ll find all kinds of boats that suit your needs. Spend a day fishing or just enjoy the scenery with the best boat rentals in North Carolina, on lakes, rivers and the coast. 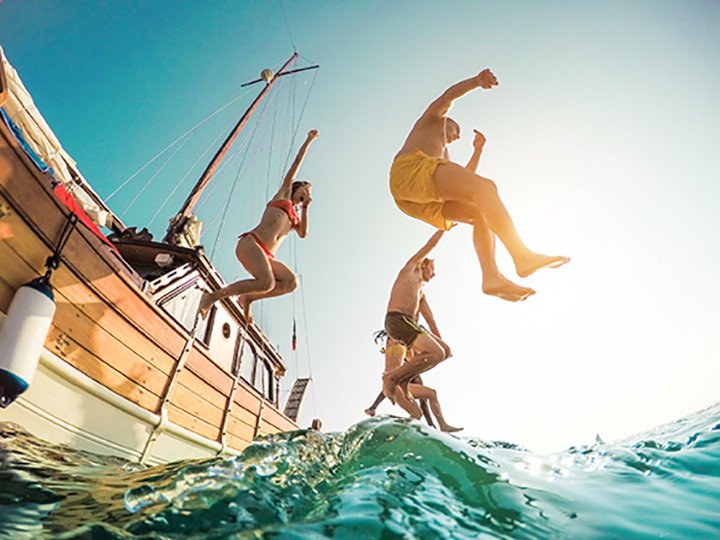 Boasting thousands of rentals and servicing much of the Southport region, North Carolina Boat Rentals is a favorite for people that love to be on the water without having to care for a boat. Offering rentals and boating courses, North Carolina Boat Rentals is prime place to rent a boat. Entropy Boat Rentals offers a variety of different types of boats as well as other water toys to get you out and enjoying the water. Boats feature necessary safety equipment and a resourceful staff can help you choose the watercraft that is right for your needs. Lake Tillery is a favorite spot for locals and visitors alike. The beautiful lake is best viewed from the water and Tillery Boat Rentals strives to accommodate. Promising good deals on rentals and the ability to rent and book online, Tillery Boat Rentals makes the process easy and safe. Carolina Boat Rentals offers a variety of boats and watercraft to help you enjoy the scenery of North Carolina. If you don’t want to drive the boat yourself, you can also take a tour on a captained boat complete with refreshments. Lake Effects offers new boats and other watercraft so that you can enjoy your time on the water. You’ll also find a staff eager to help and get you going. You can even find a party boat and vacation rental through the customer satisfaction driven rental service. Offering different boats for rent for different periods of time, Nauti Times allows you to captain your own fishing boat adventure. Choose from a selection of boats and how long you want to be on the water is up to you. The convenience of two locations allows you to spend more time on the water. Motor-Boatin has a variety of boats and other gear to help you move along the water. Online courses and insurance information help make the rental process a little smoother. You can also make reservations online in advance to ensure you get the boat you want, when you want it. Charlie’s Boat Rentals provides easy to learn safety information before you head out onto the water. A quick call can ensure you get the boat you want so that once you arrive, you can get on the water as soon as possible. Check out the selection of boats and watercraft online. A favorite on TripAdvisor and with locals, Topsail offers the peace of mind of enjoying a boat without the stress of ownership. Pontoon boats allow you to enjoy the comfort of a living room on the water and the company also offers a variety of other boats to make your time on the water as peaceful as possible. Southport Boat Rentals gives you the ability to see as much of the Carolina coast and waterways as possible. Go fishing, check out the local islands or even take a tour for a special adventure that doesn’t have you at the helm. Wildlife tours and sunset tours are available, all you need do is ask the devoted staff to create an itinerary that suits your needs.